However, a popular option is to position the enclosure in a corner of the room in order to make use of two existing walls, or even in a recess or alcove that already has 3 walls, which means you no longer need the shower side panels. Although this may offer a cost saving on the shower products, it may be more labor-intensive to construct, particularly if you need to create the alcove with stud walls. The size of the enclosure will generally be determined by where you want to install it and the shape and size of shower tray you purchase. The most common shapes are square, quadrant (quarter-circle), offset quadrant, pentagonal and rectangular. 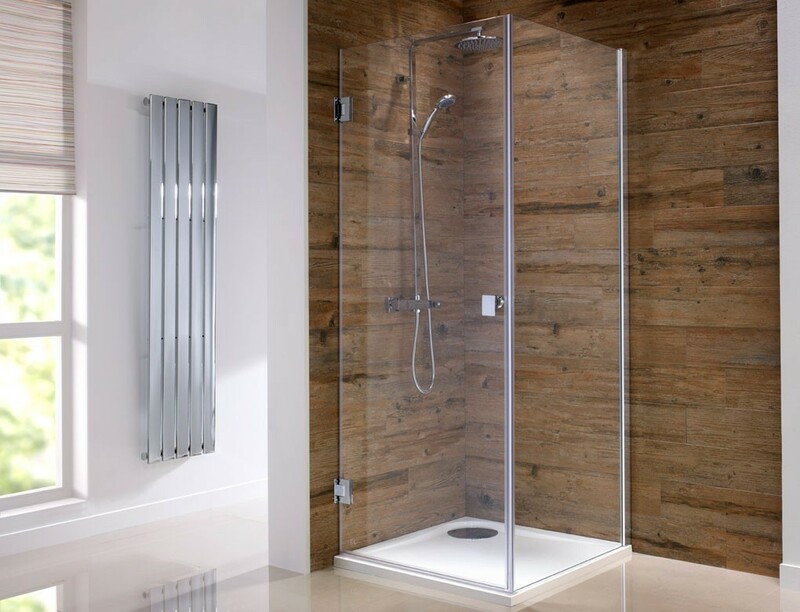 Although you don’t necessarily need a lot of space to install a shower enclosure, it is important to plan it properly; you’ll need to have enough space to move around, keep toiletries as well as having easy access. Alternatively, you may decide to install a walk-in enclosure, which typically consists of a larger, rectangular shower tray, with a fixed curved screen at one end which does not return completely to the wall. As there are no moving parts with this type of enclosure, it makes getting in and out quick and easy, and as there isn’t a door opening out into the room, water doesn’t drip everywhere each time you open it.